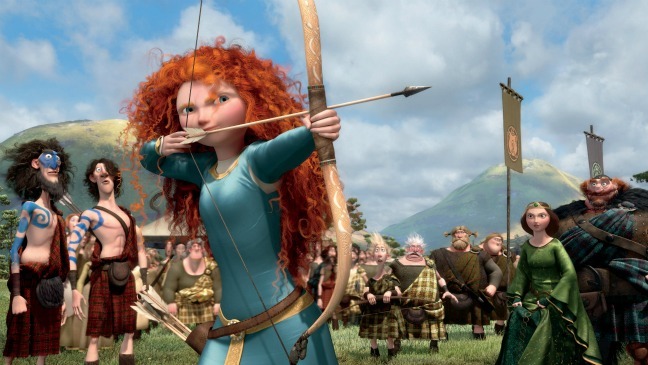 “BRAVE” (L-R) LORD MACINTOSH and his son, YOUNG MACINTOSH; MERIDA, WEE DINGWALL and his father, LORD DINGWALL; LORD MacGUFFIN and his son, YOUNG MacGUFFIN; QUEEN ELINOR and KING FERGUS. ©2011 Disney/Pixar. All Rights Reserved.